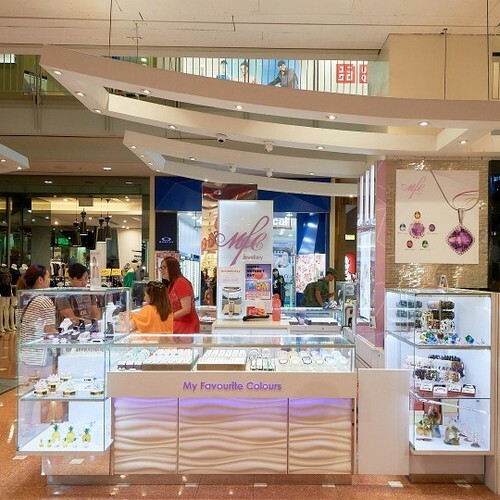 MFC Jewellery store has two locations in Singapore, one at Jurong Point shopping centre (1 Jurong West Central 2) and another within AMK Hub mall (53 Ang Mo Kio Ave 3). The jewelry store, where MFC stands for “My Favourite Colours”, offers a wide range of high quality yet affordable jewelry. You can choose from many types of jewellery while visiting the shops, with everything from contemporary styles to trending and timeless looks. Of the locations, the store at Jurong Point mall is within Singapore’s largest suburban shopping paradise. Jurong Point has more than 400 retail and food outlets, including household names such as FairPrice Xtra, Golden Village, Courts, and Harvey Norman.